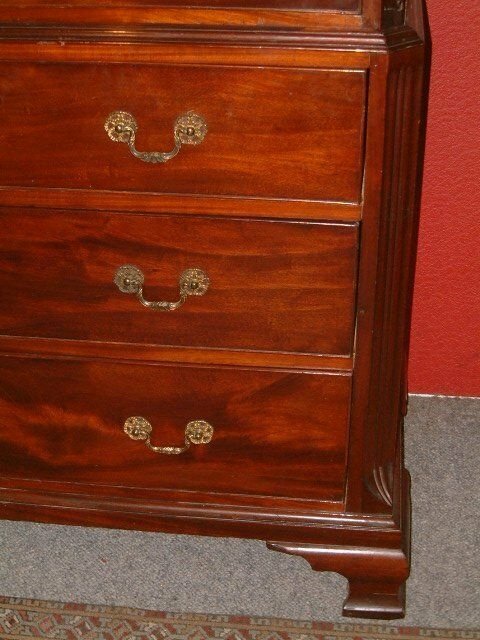 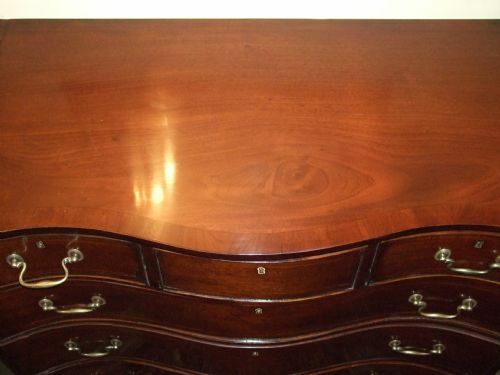 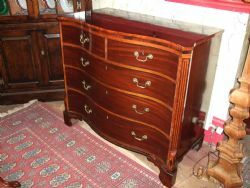 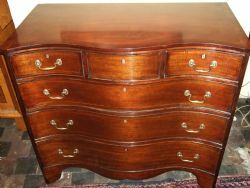 George 3rd Mahogany Serpentine Chest of Drawers with Satinwood Banding & Inlaid Features On Bracket Feet. 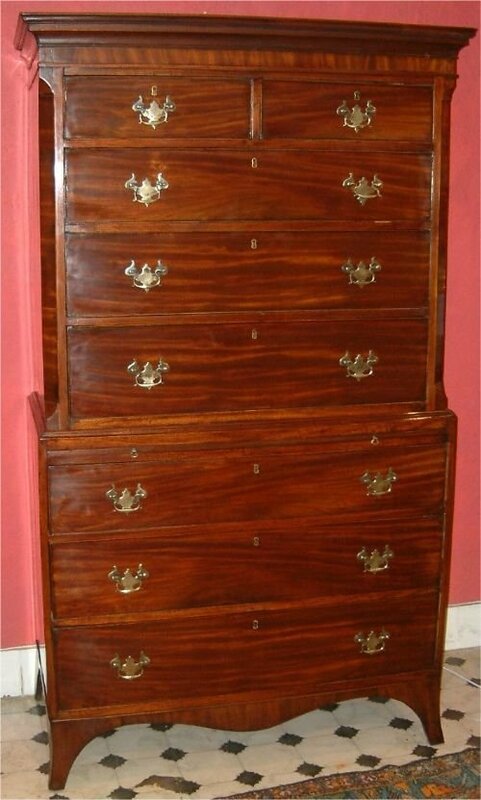 George 3rd Mahogany Serpentine Chest of Drawers with Inlaid Canted Corners Satinwood Banding & Other Inlaid Features, On Bracket Feet. 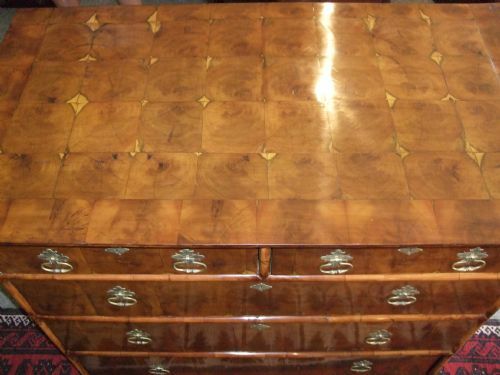 Superbly Inlaid and Wonderful Deep Serpentine Shape. 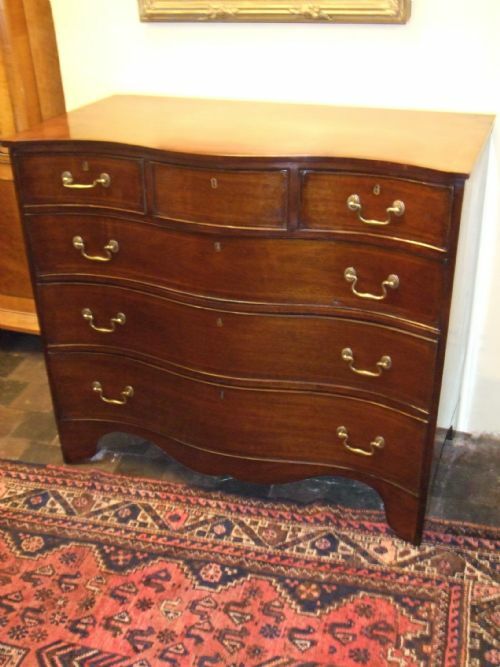 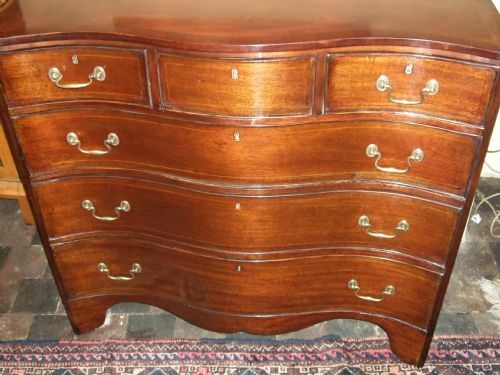 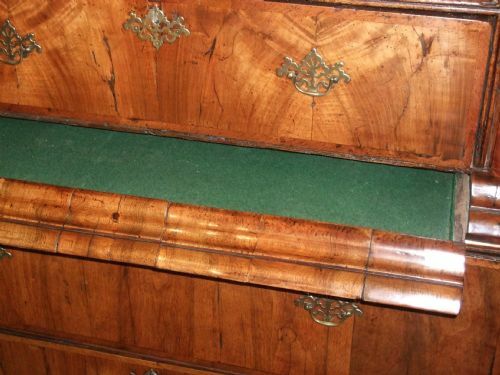 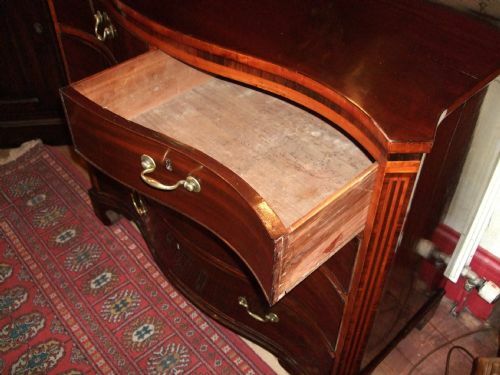 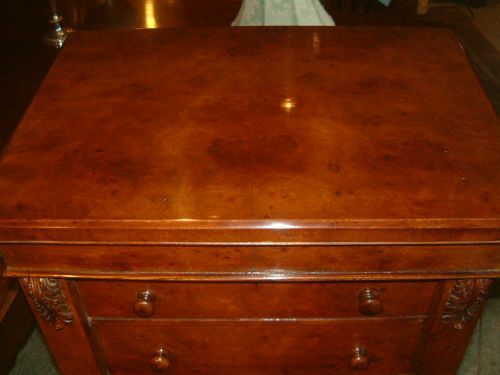 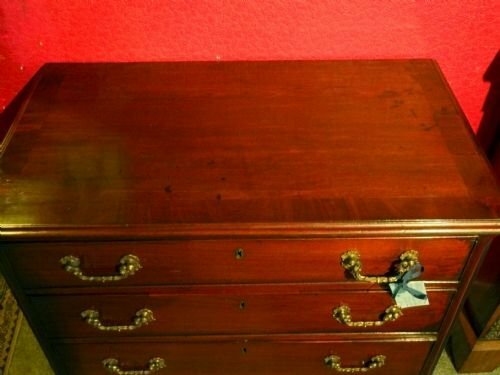 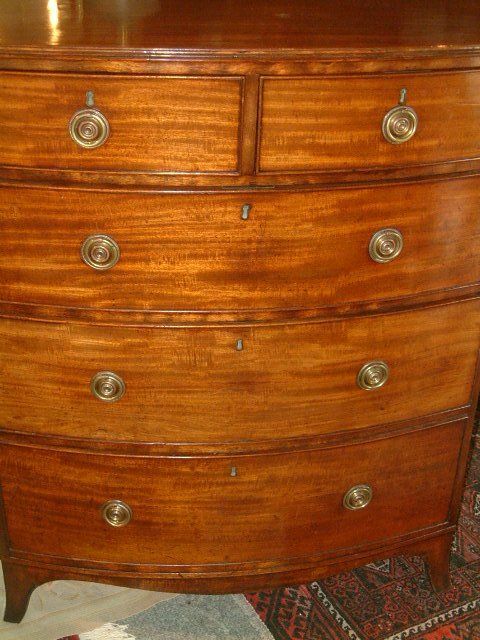 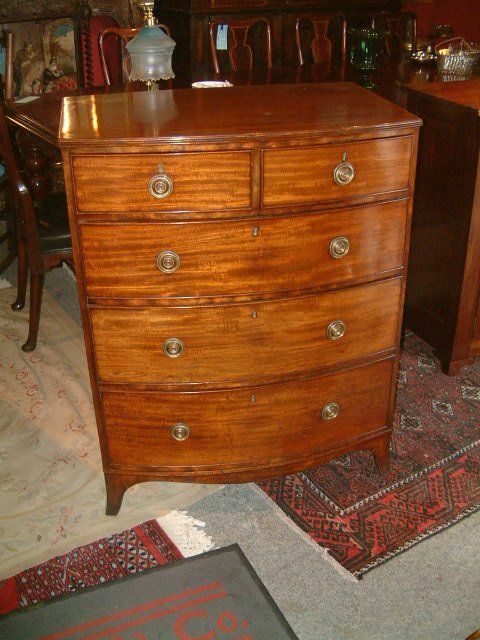 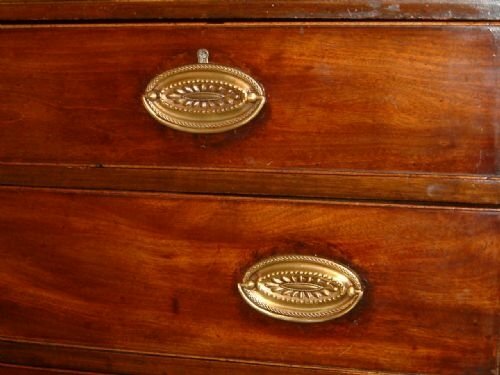 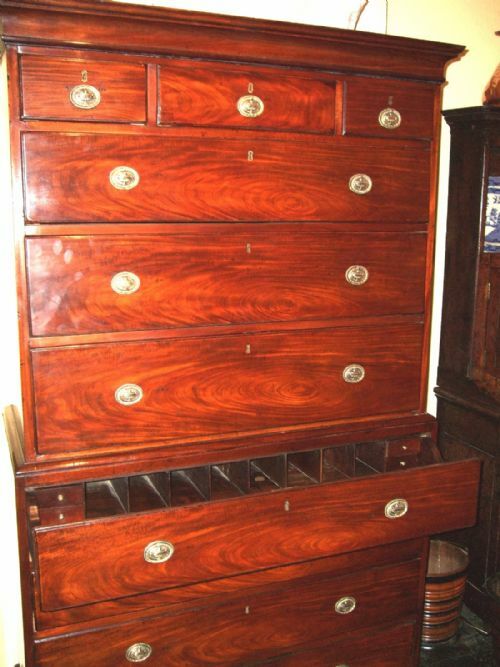 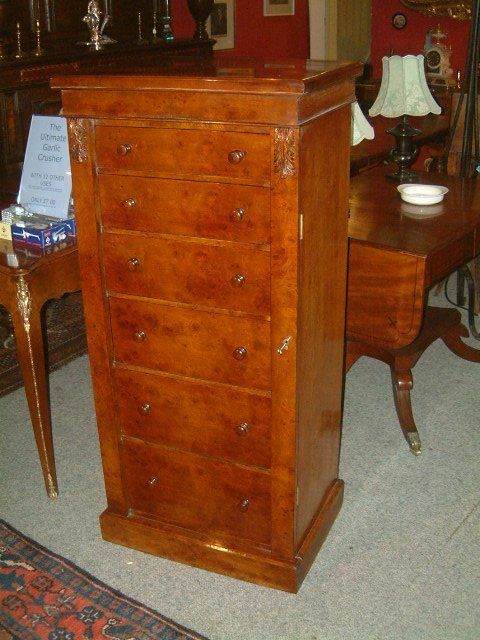 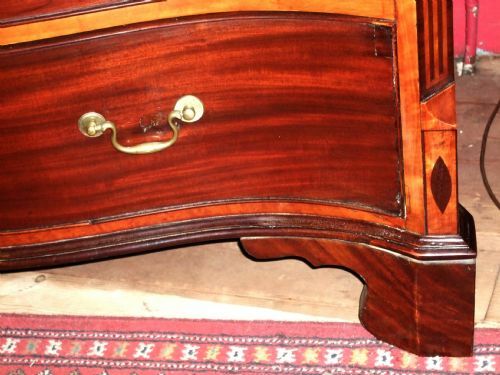 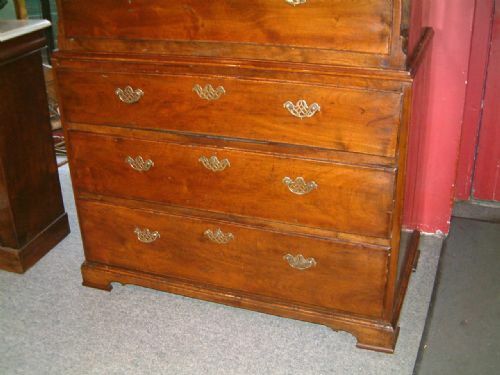 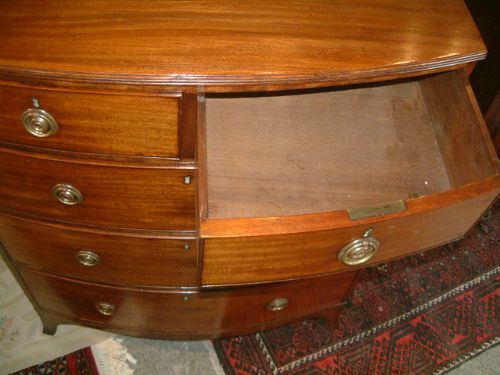 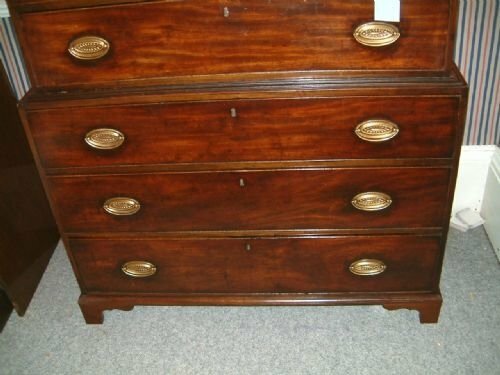 Early 19th Century Mahogany Serpentine Chest of Drawers. 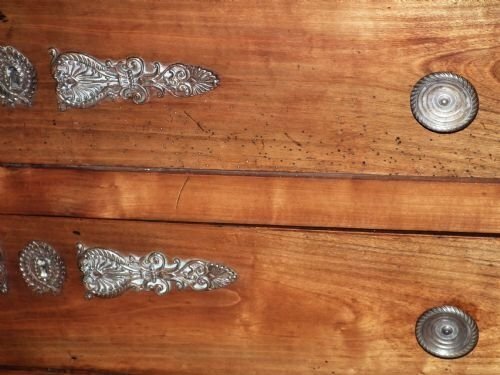 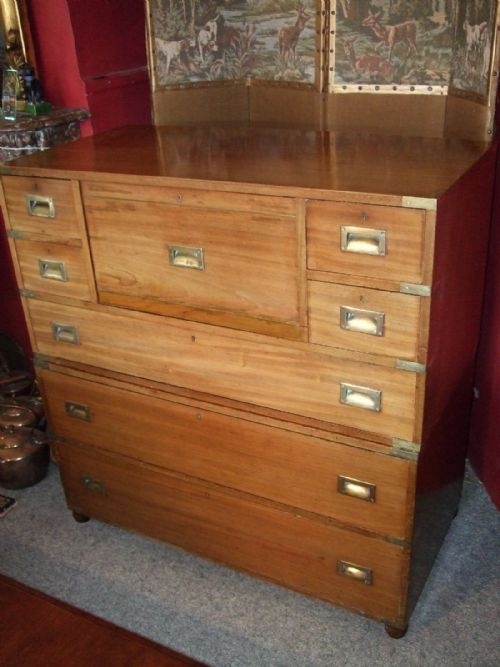 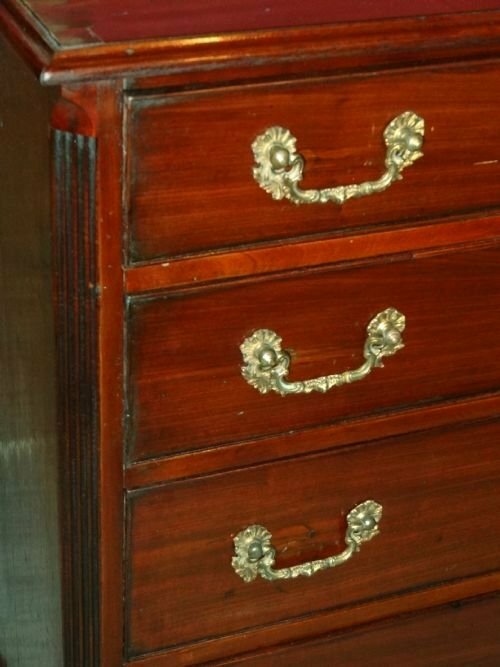 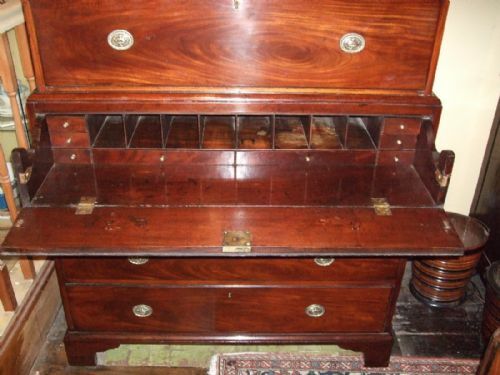 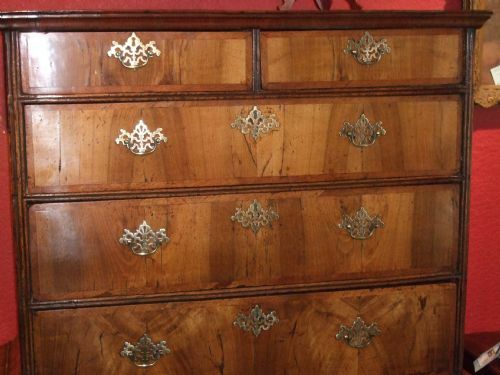 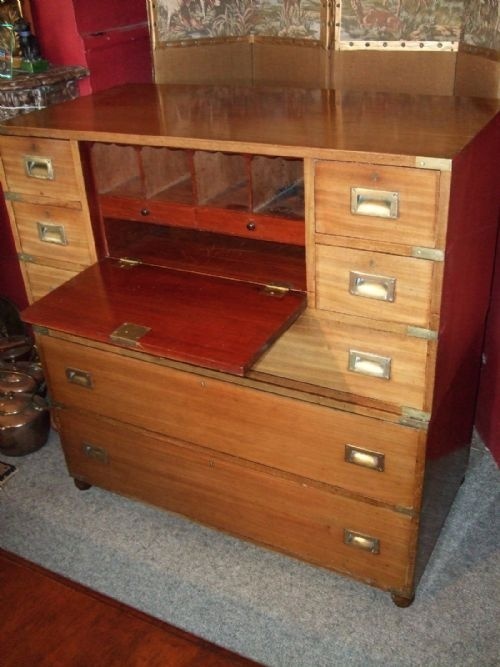 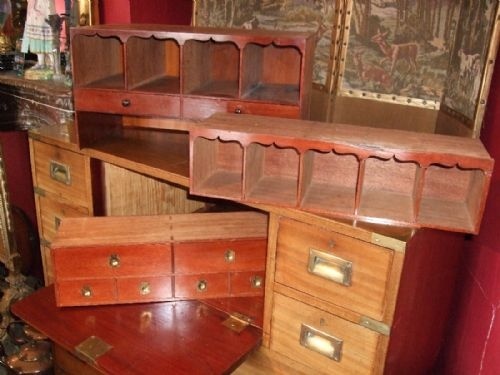 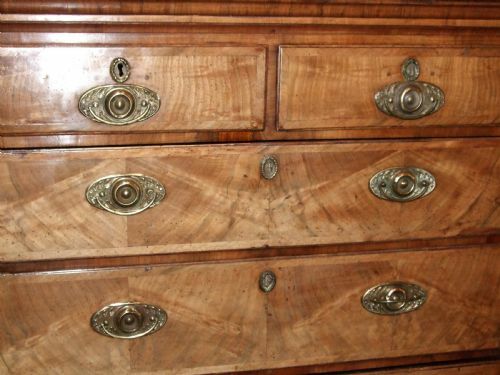 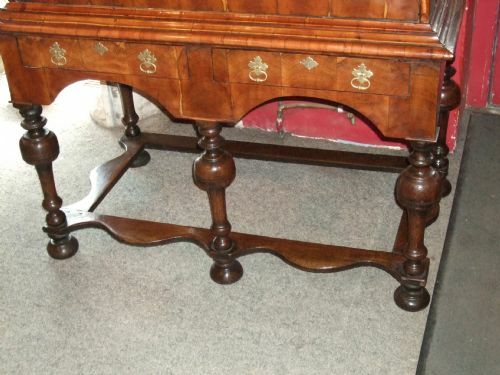 Wonderful Serpentine Shape and Good Choice of Timbers.Brass Swan Neck Handles. 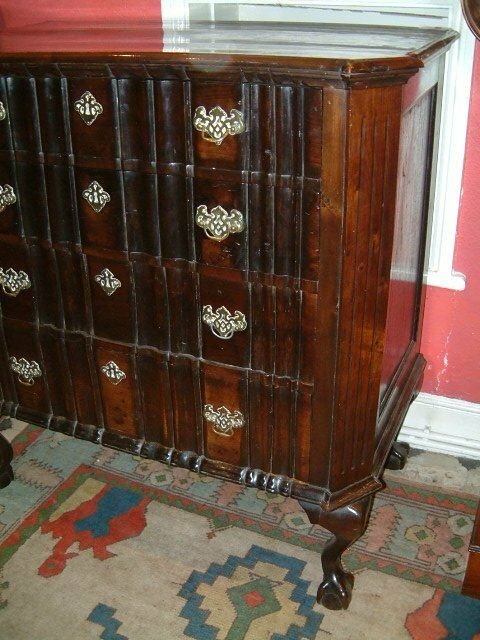 Early 18thC Yew Wood Oyster Veneered Oak Chest on Stand. 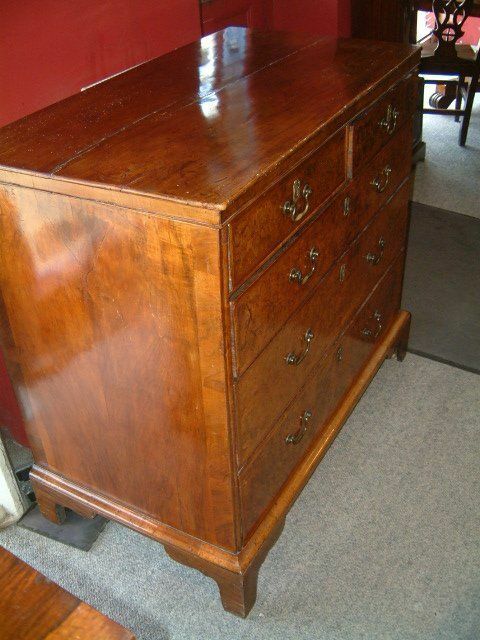 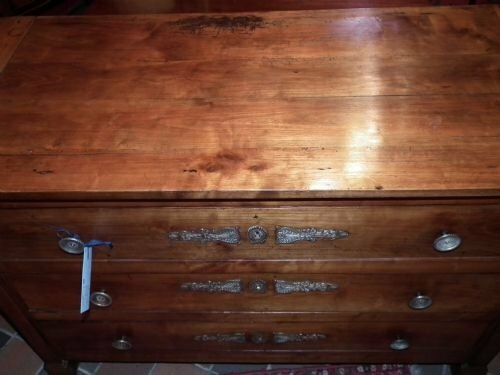 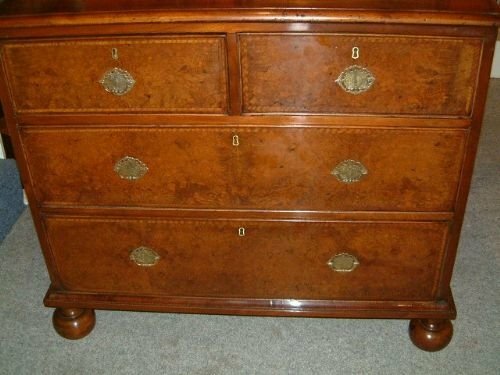 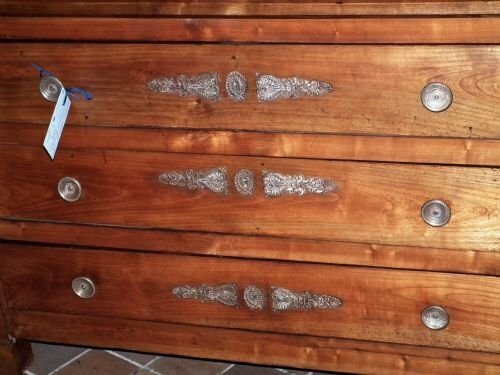 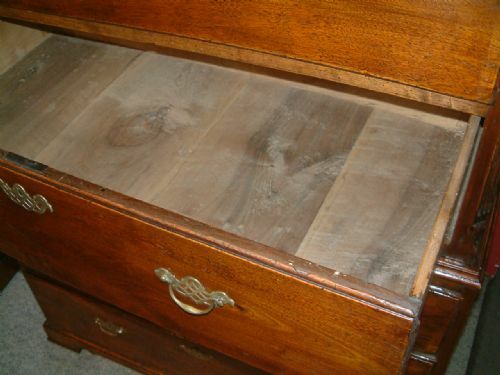 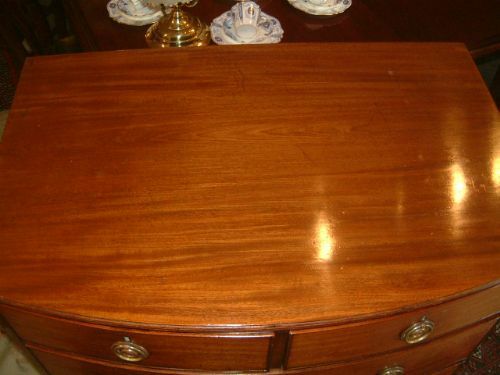 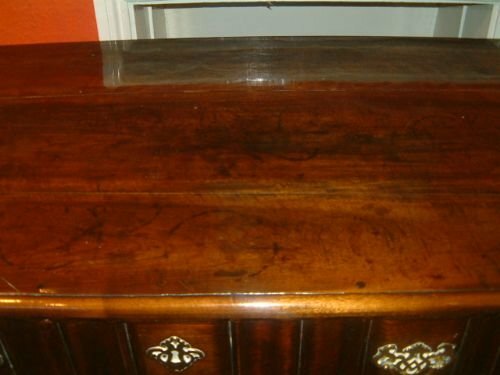 George 2nd Period Walnut Chest on Chest in three Sections. 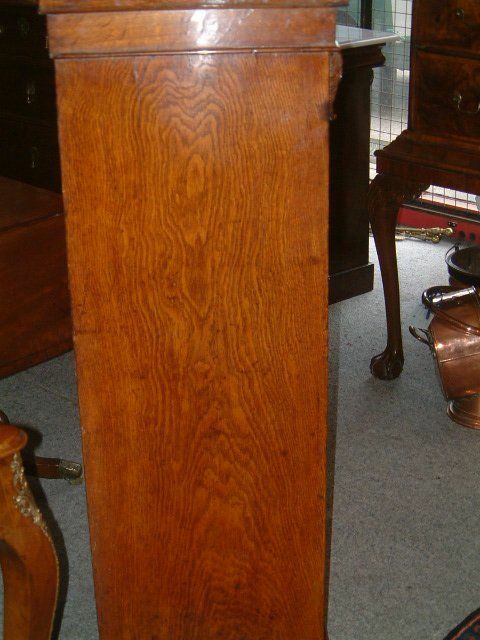 With Blind Fretted Canted Corners to Top Section and Reeded Corners to Base, supported on Ogee Bracket Feet. 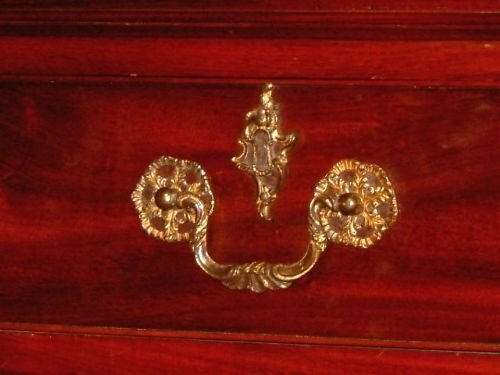 Origin Brasses. Superb Colour & Patination Wonderful Brasses. 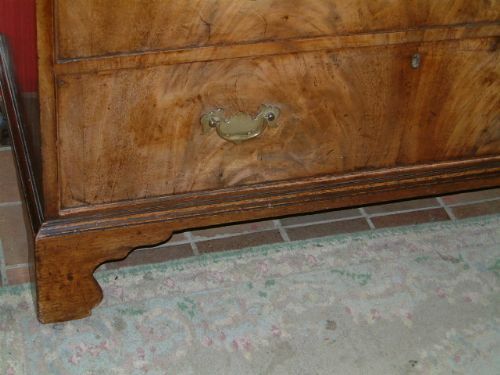 We think the wood mught be Chestnut or Fruitwood, the Legs Possibly Later. 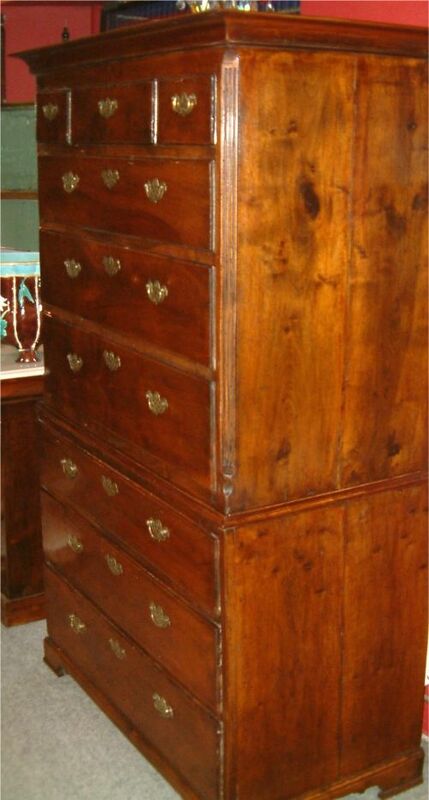 Superb Queen Anne Period Walnut Chest of Drawers, Lovely Choice of Burr & Figured Walnut Oak Carcass, with Later Bun Feet & Handles. 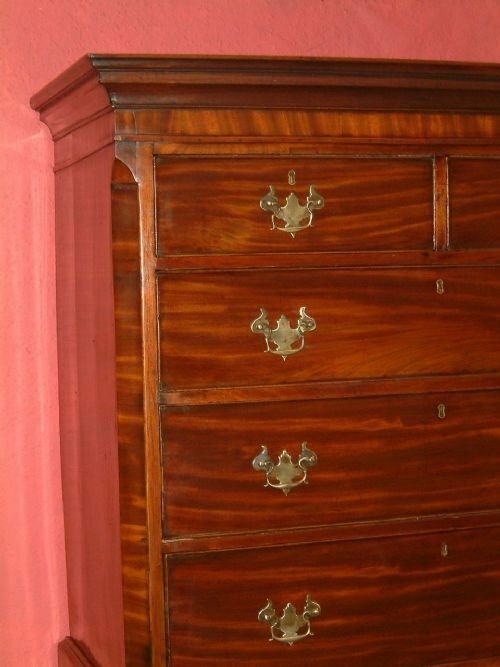 Good Colour & Patination. 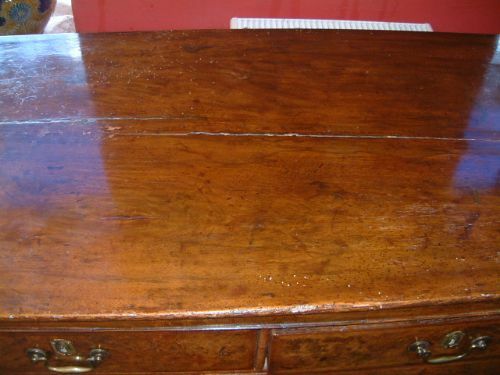 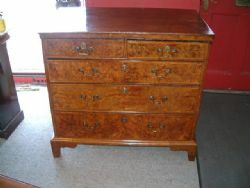 Wonderful Colour & Patination, the Piece is Solid Walnut Throughout. 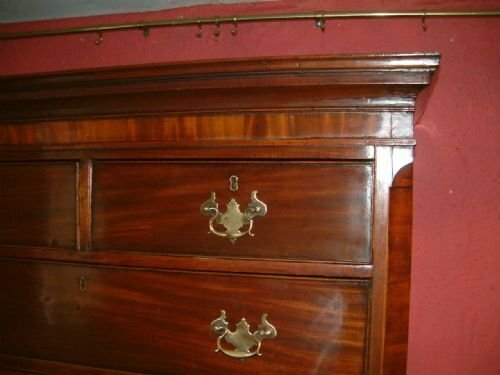 Later Brasses. 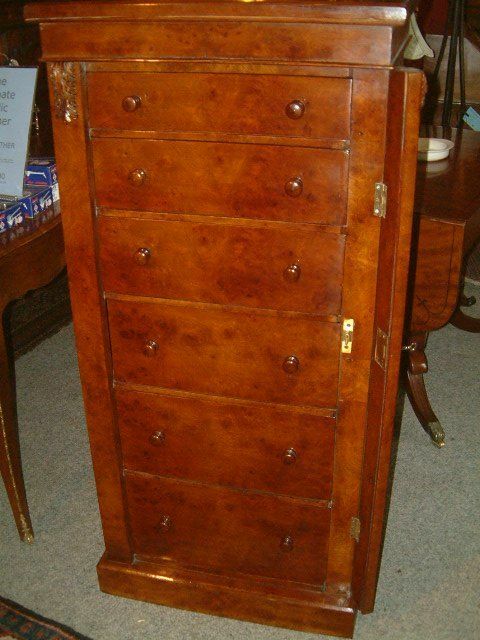 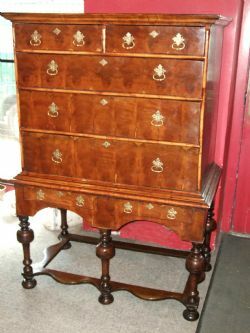 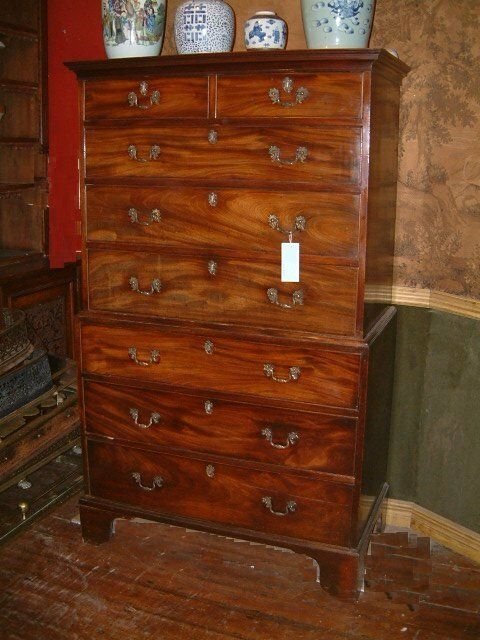 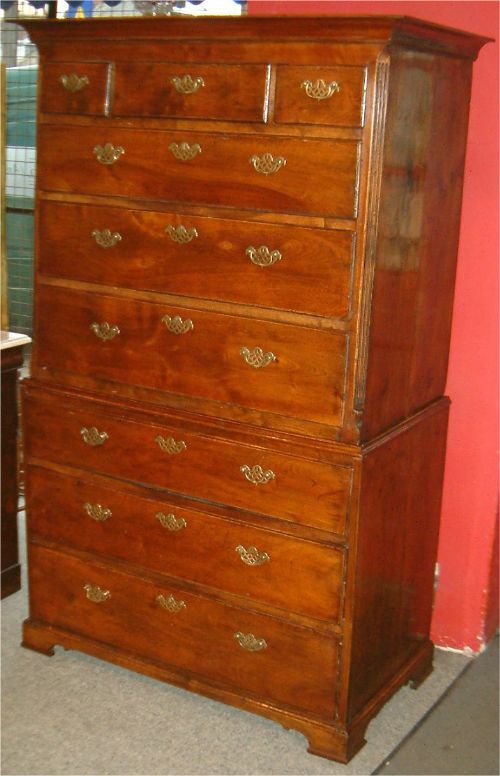 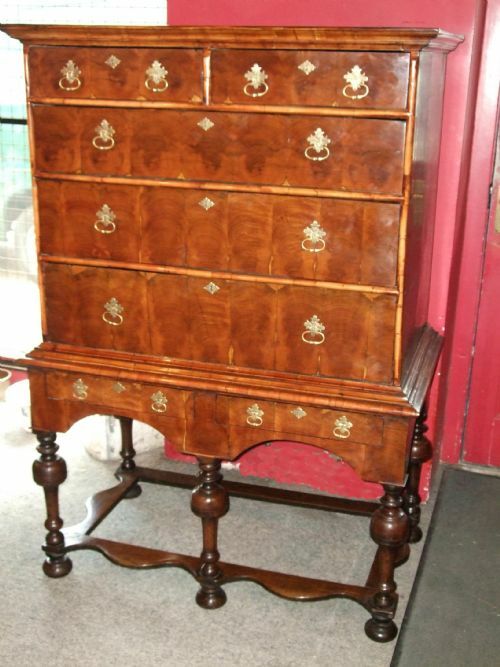 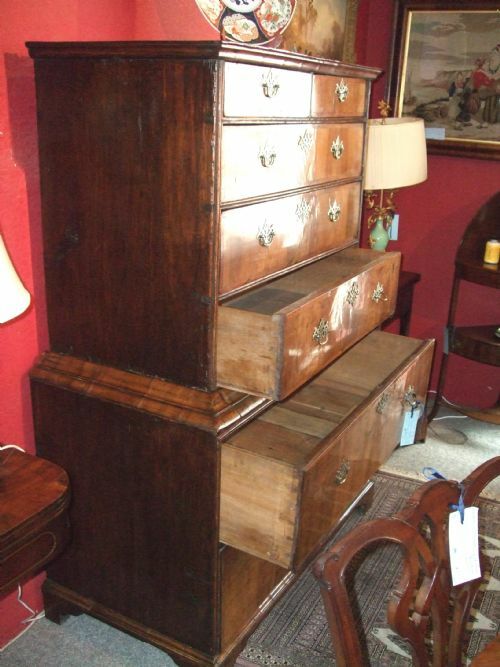 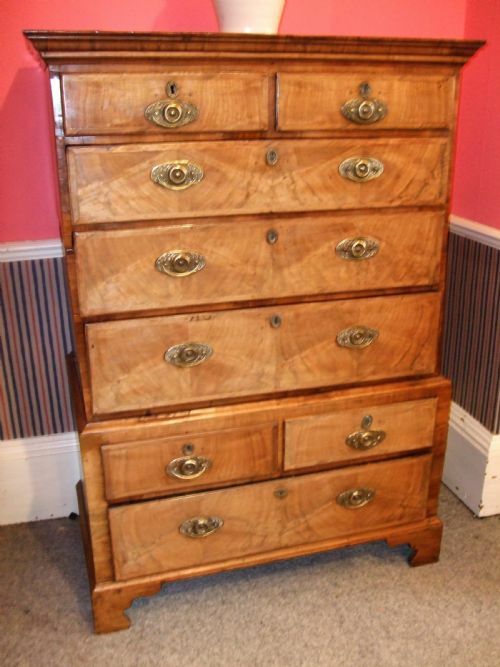 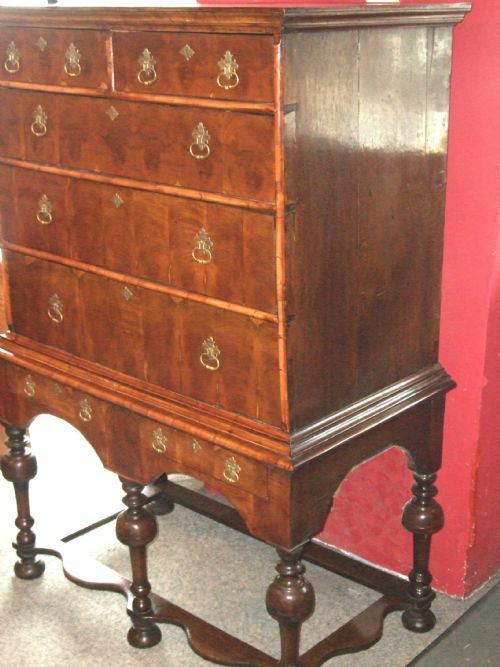 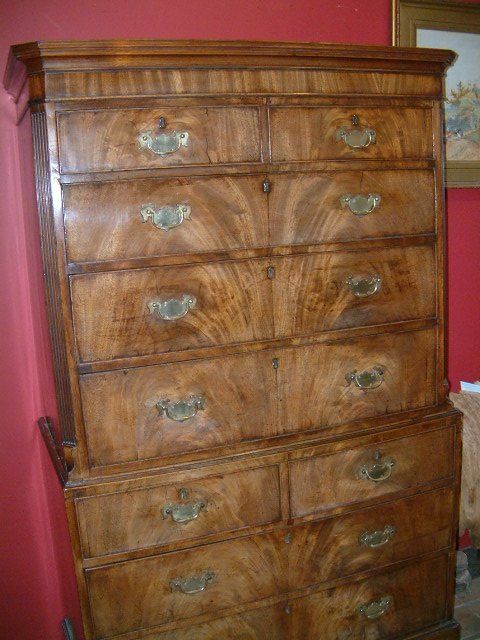 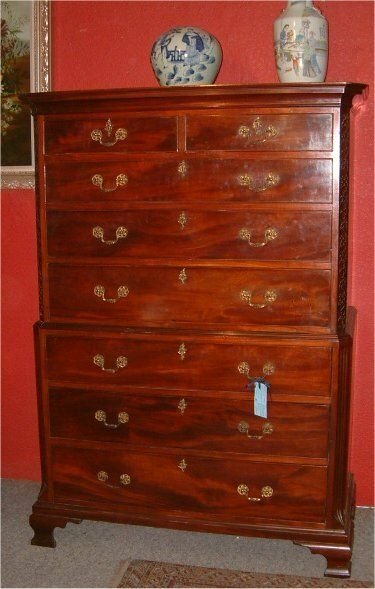 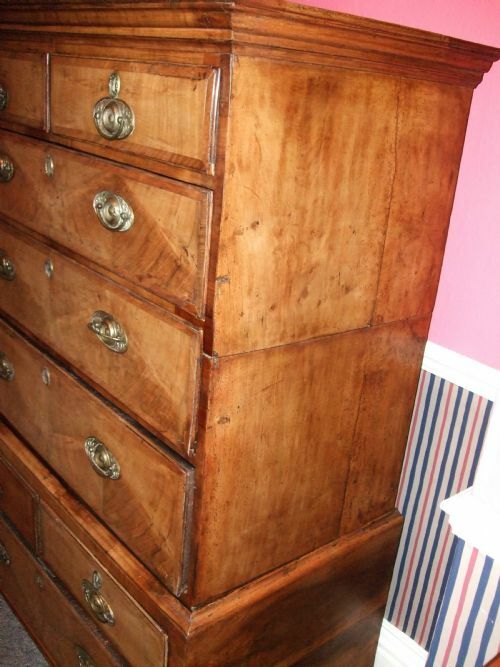 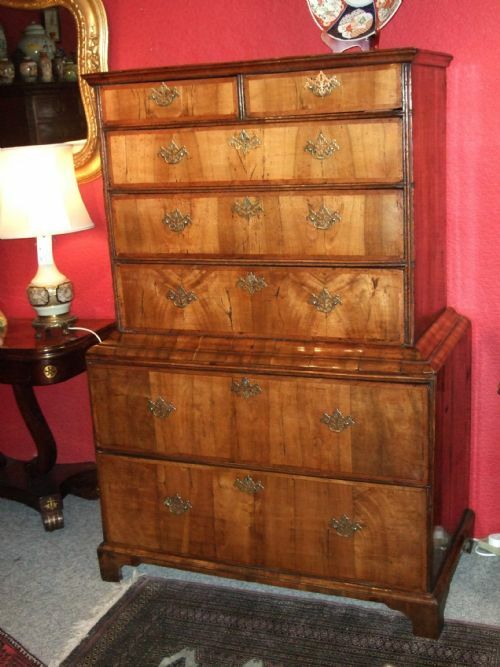 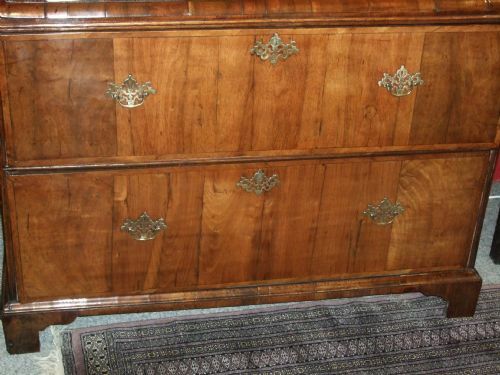 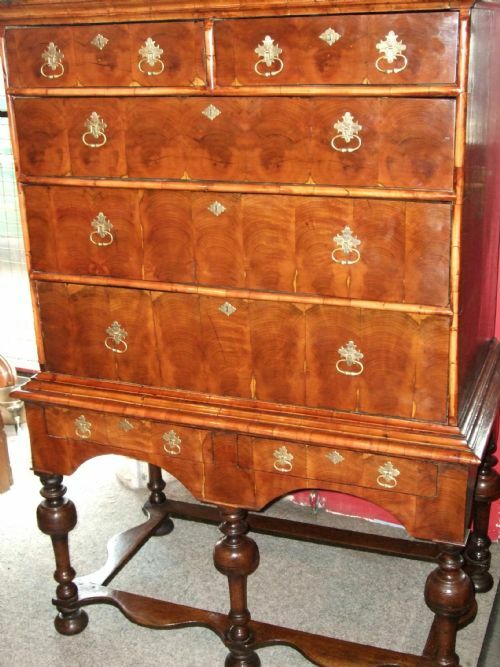 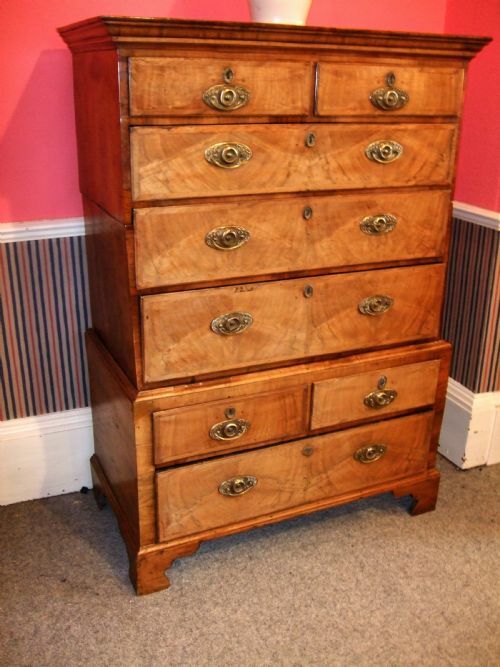 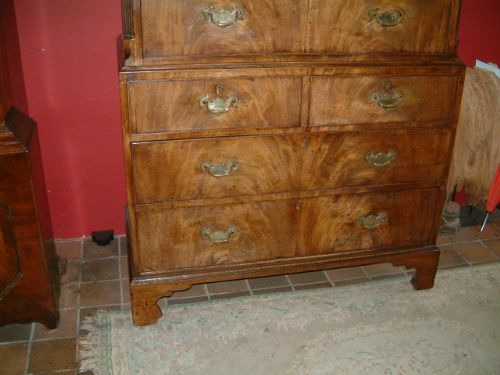 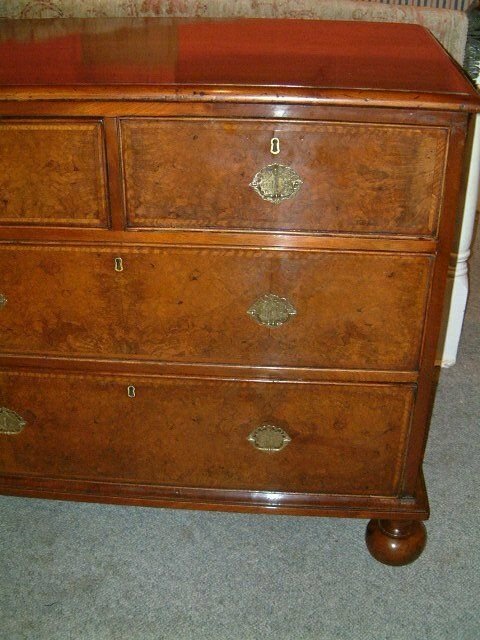 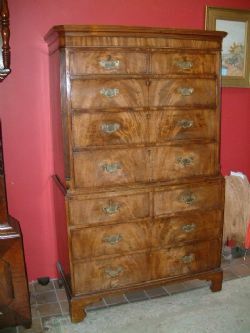 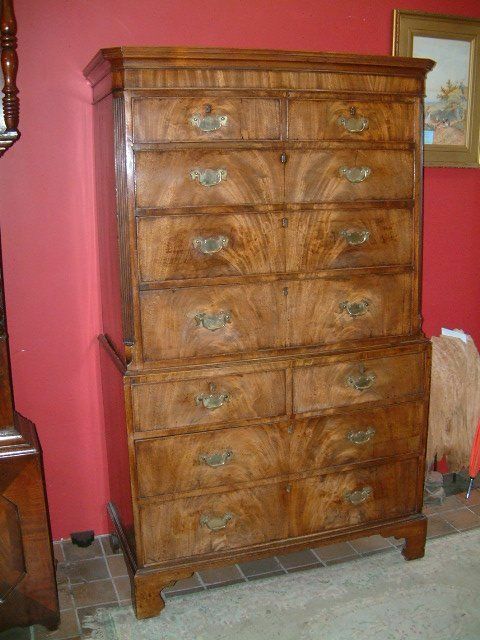 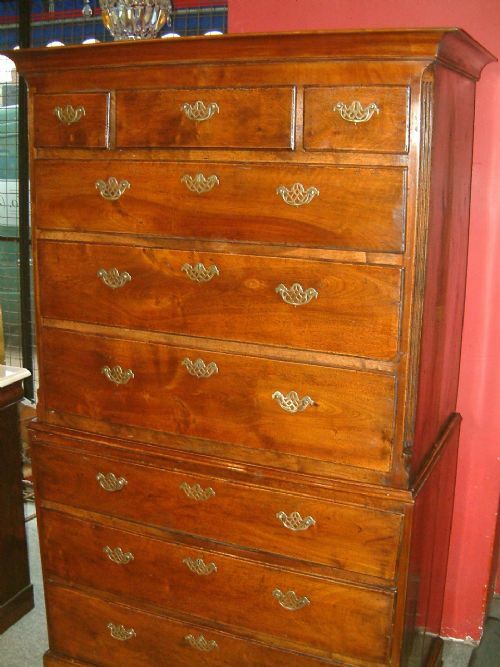 Early 18thC George 1st Walnut Tallboy with Secret Document Drawer. 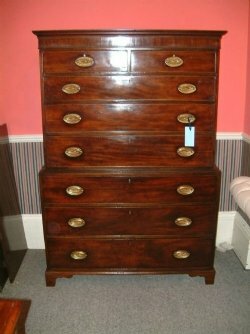 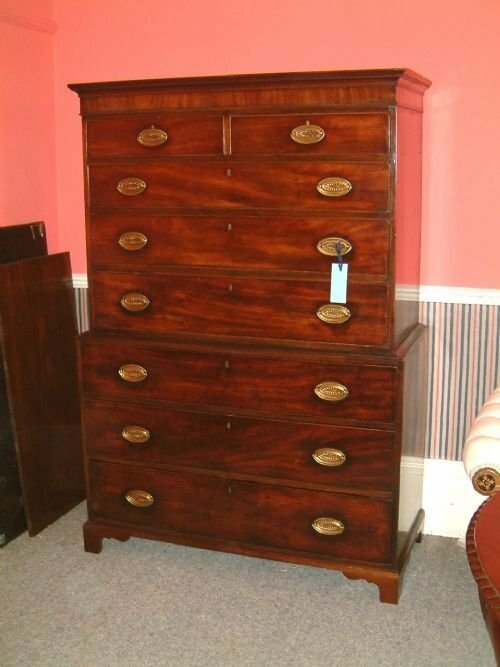 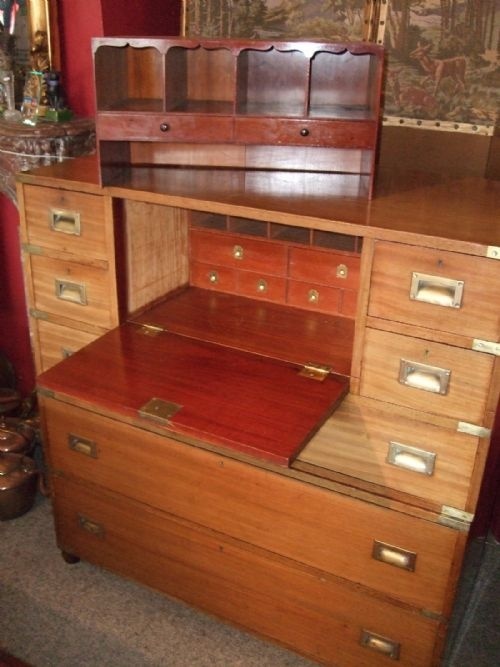 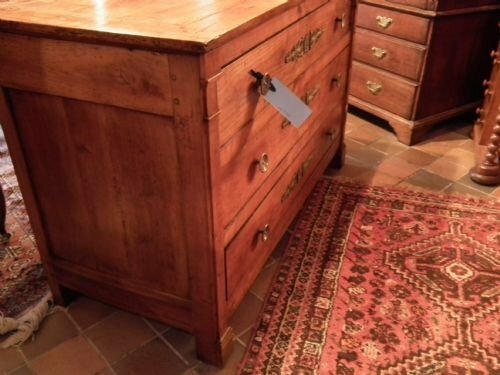 Tallboy with Secret Document Drawer which is Very Unusually Concealed Between the Top & Bottom Chests Disguised as a Moulding. 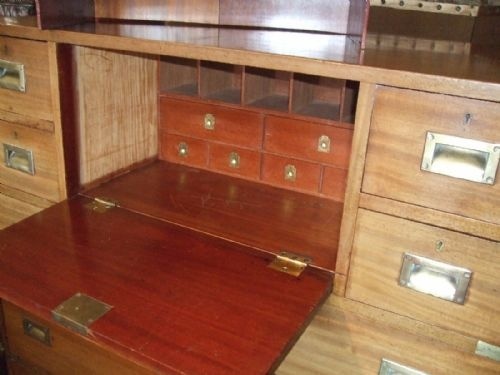 With Secret Compartments & Space for Hidden Documents Behind. 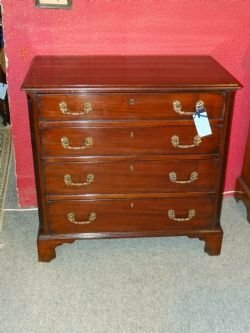 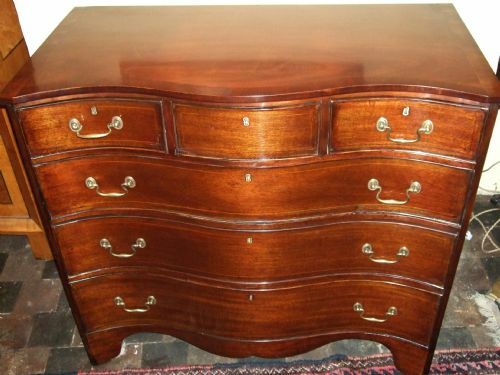 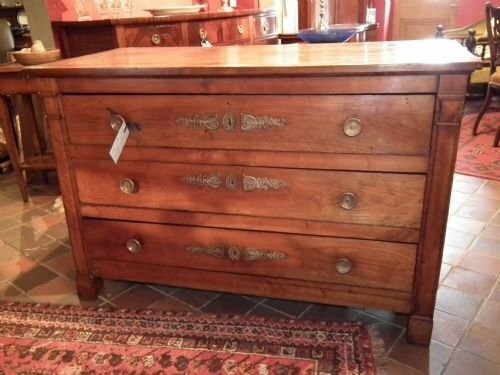 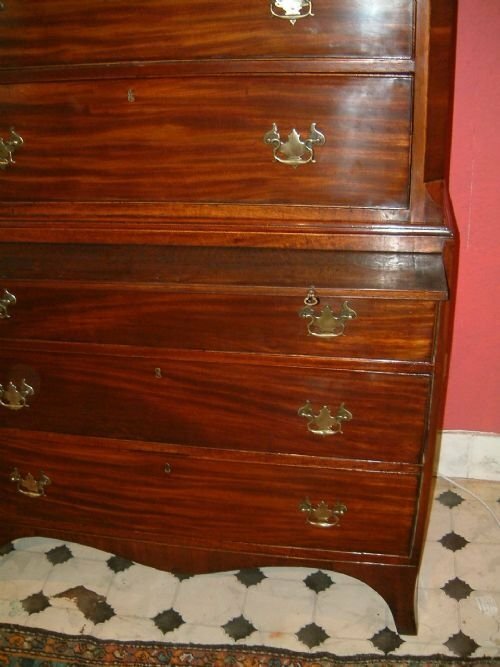 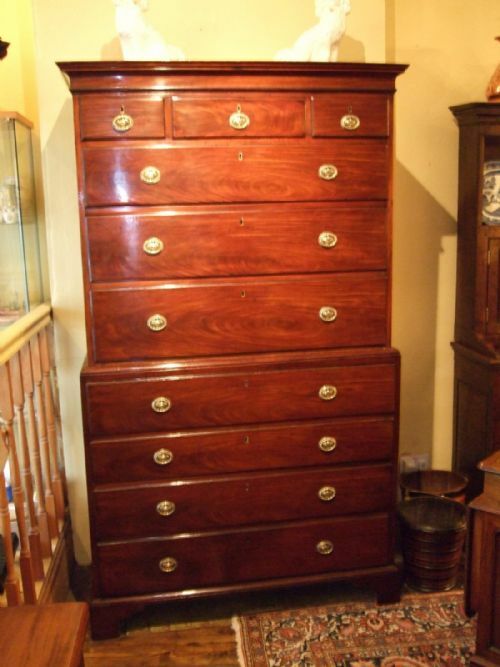 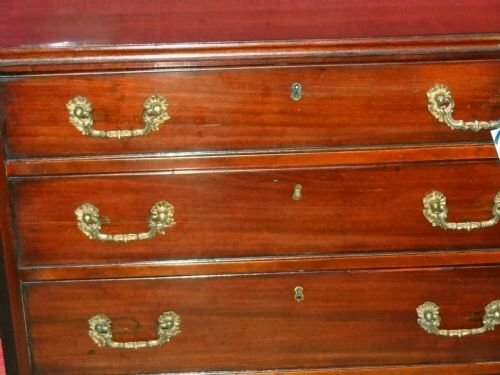 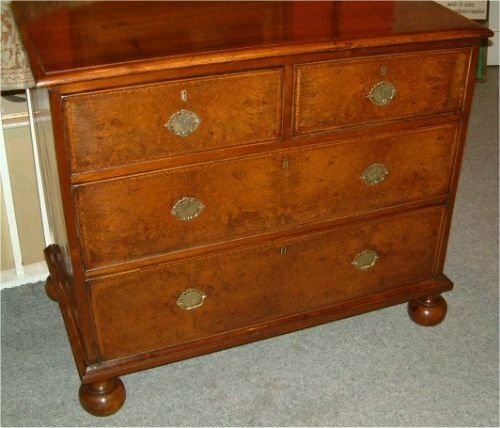 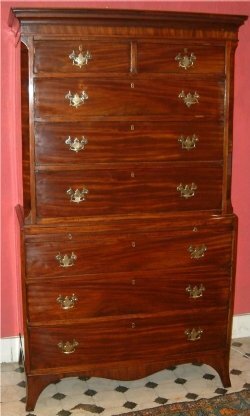 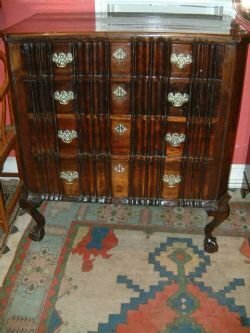 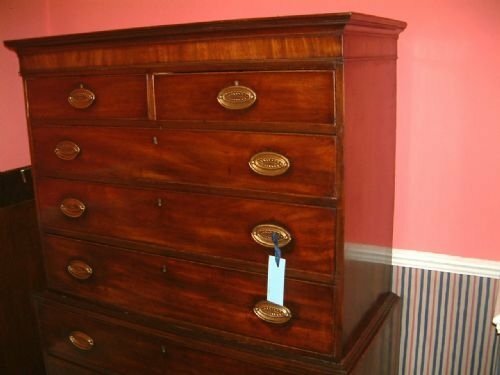 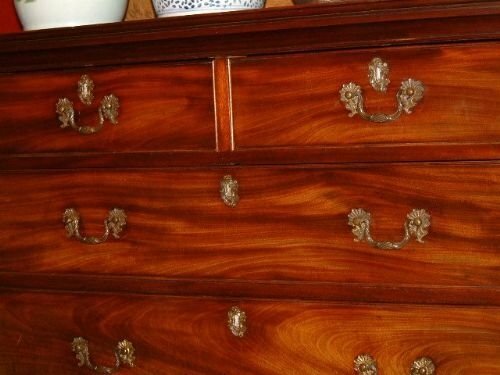 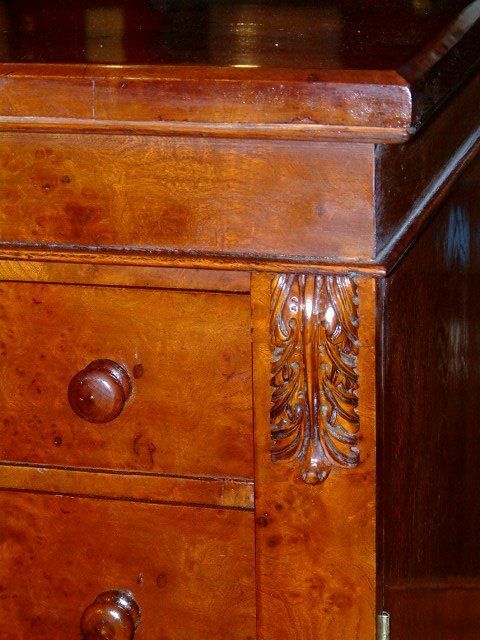 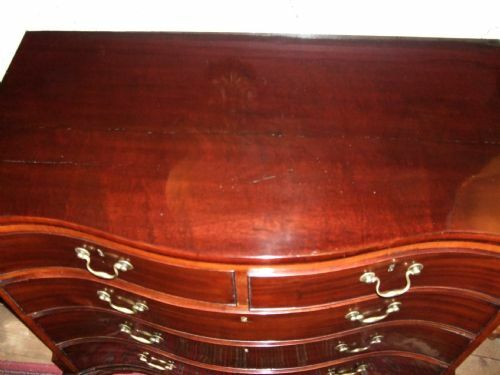 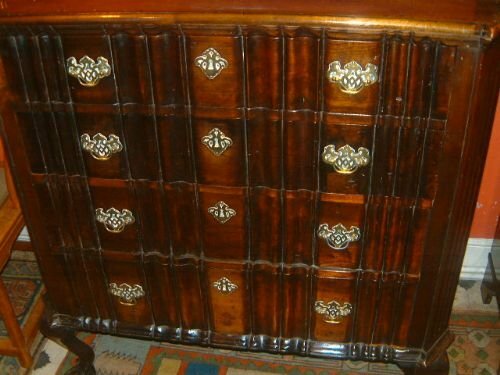 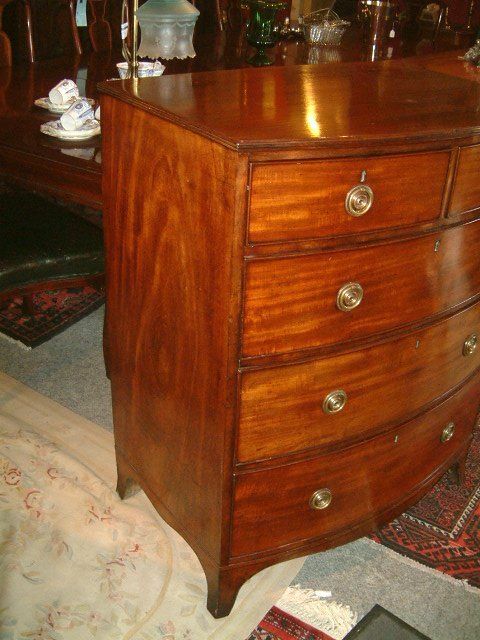 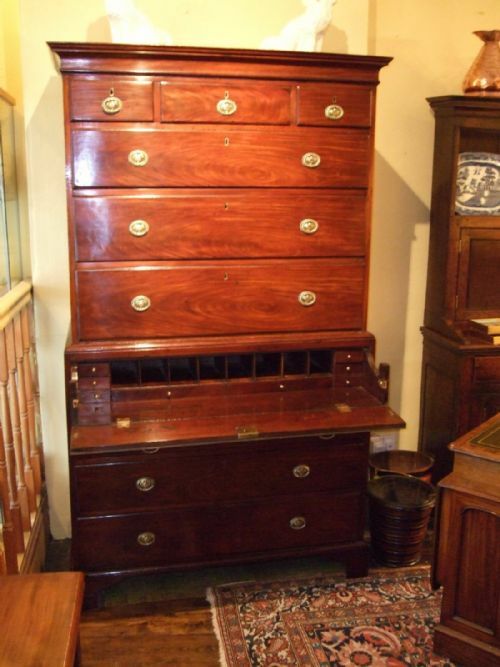 Late 18th Century Mahogany Chest on Chest the Crossbanded Cornice above Two Short & Three Long Drawers above the Lower Section with Three Long Drawers Supported on Bracket Feet Nicely Figured Mahogany with Good Colour & Patination, later Brasses. 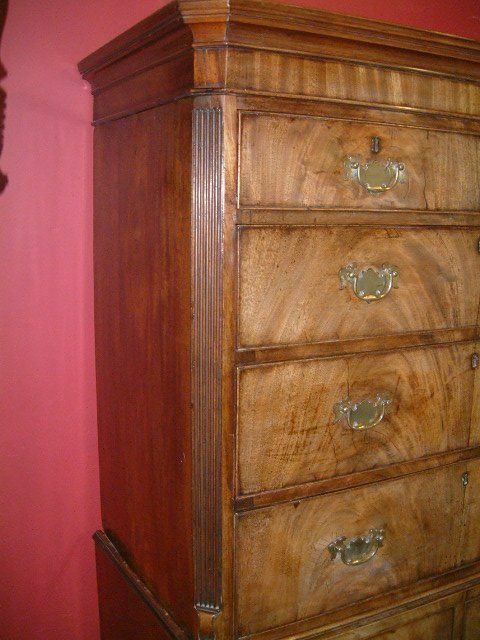 Nice colour and patination.Later Brasses. 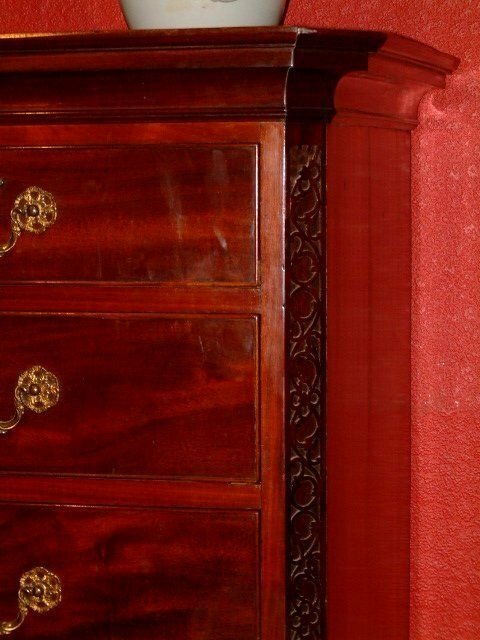 Good Colour & Choice of Timber Later Brasses. 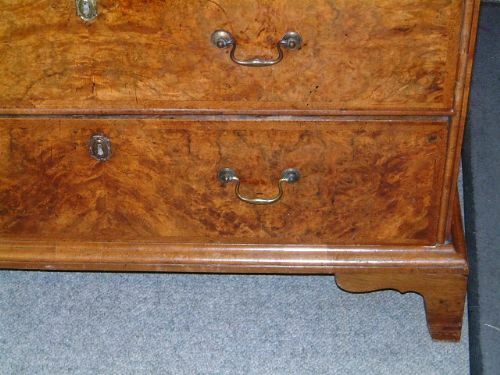 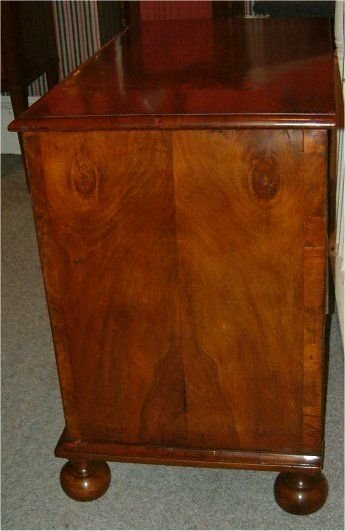 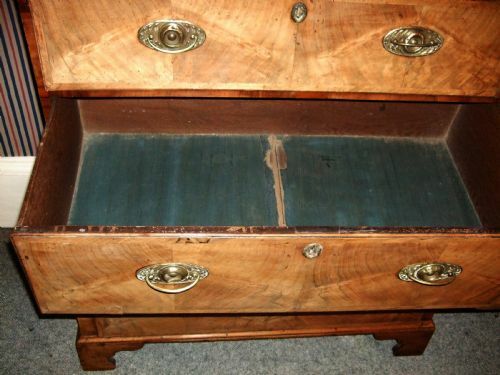 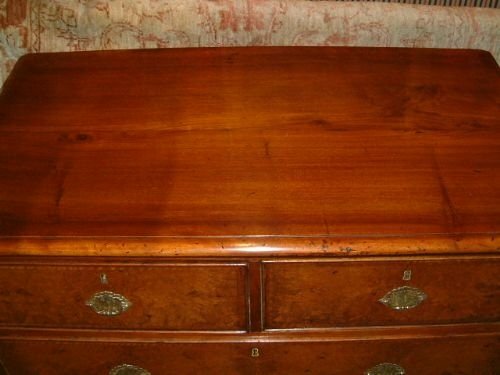 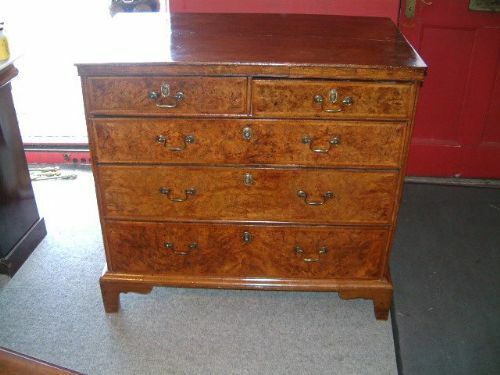 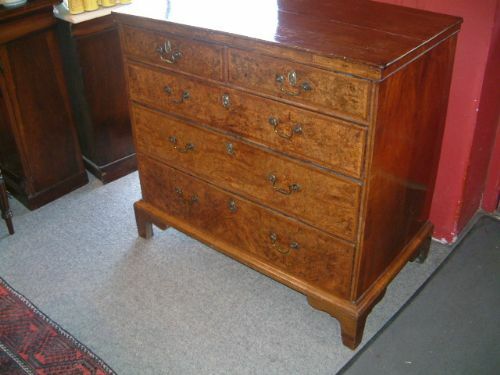 Victorian Oak & Burr Elm Wellington Chest, Excellent Choice of Burr Veneers. Nice Small 18thC Mahogany Chest of Drawers with Reeded Canted Corners Supported on Bracket Feet, with Later Brass Handles.